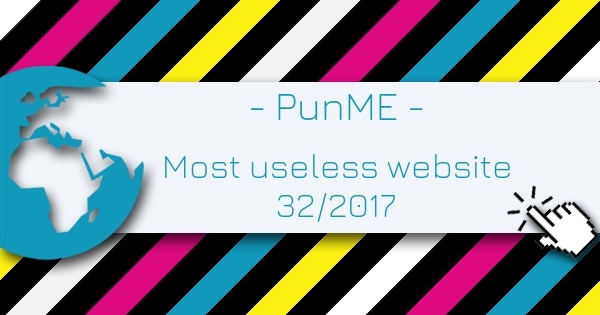 PunME is the Most Useless Website of the week 32 in 2017. This useless website is a constant stream of funny puns and one liners presented in a colorful visual carousel. Get 100s of puns from different categories like knock knock jokes, dad jokes, funny riddles or cheesy pick up lines. Rated 5 out of 5 based on 2 user ratings.